Never have I ever…read a YouTuber’s book before. It’s not that I haven’t wanted to, I just haven’t got round to it yet. 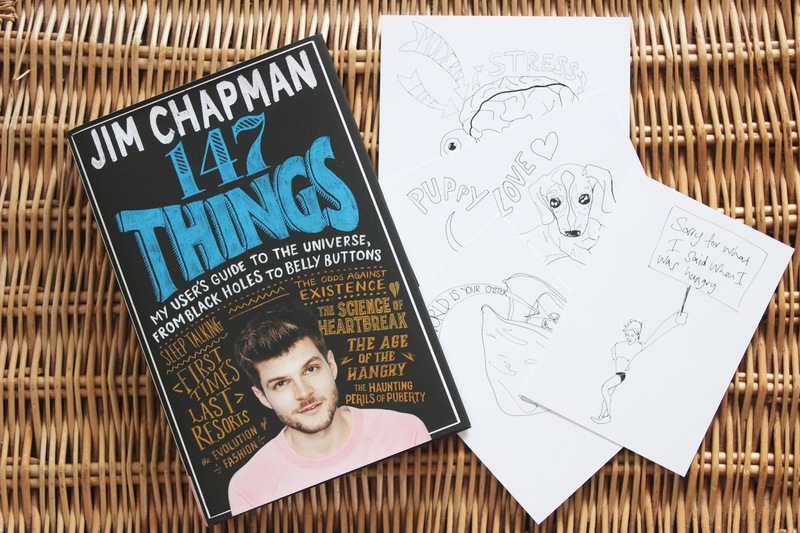 I have been subscribed to Jim Chapman since about 2013, and always liked watching his videos for the comedy factor and the fact I could relate to some of them. 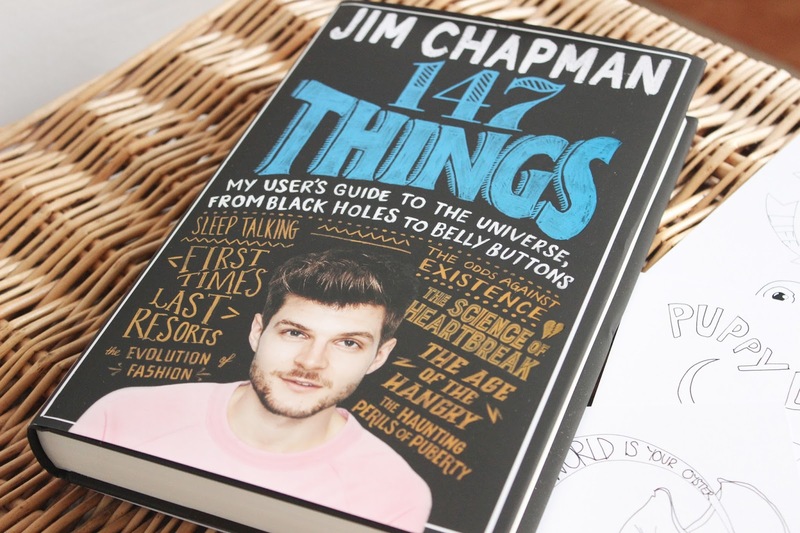 When 147 Things landed in my postbox, I was excited to start reading, mainly because I’d already watched Jim’s video on his channel about it a few months ago, and I was really looking forward to it. 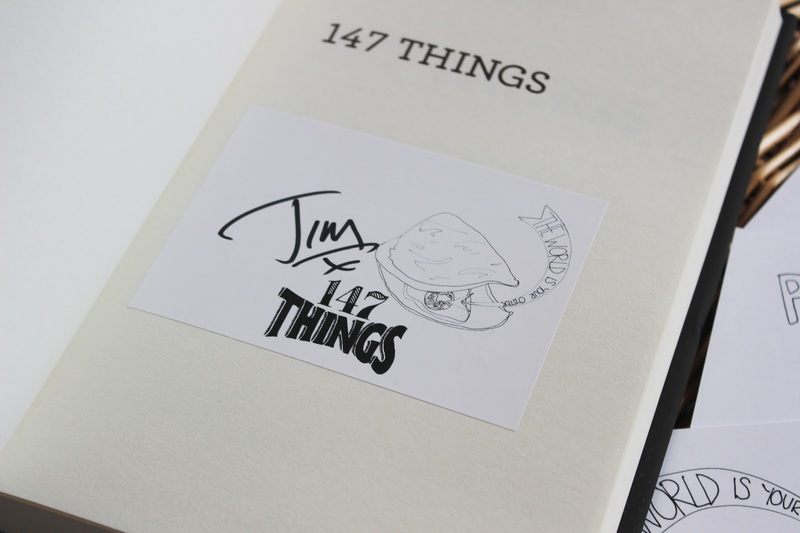 147 Things is a book all about weird and wonderful things, some being scientific facts, some being about Jim’s personal life experiences. There is so much information that I never would’ve known (or bothered to look up myself) without reading this book. Each ‘thing’ has a bit of a write-up to it, and most of the ‘things’ are absolutely hilarious if they’re not super serious. There are a lot of things in the book that seem to describe how small the odds were for us to exist, yet here we are, and it’s incredible to know you had a 1 in *insert massive number here* chance of being alive on this earth right now. Because of the way Jim has written this book, I find myself reading it in his voice. He has also recorded an audiobook for 147 Things, so you can listen to him reading the book, which would be especially great for listening to his anecdotes. My personal favourite out of all 147 things is Thing 69 – Penguins are my favourite animal for many reasons; this is not one of them. This is probably because, like Jim, penguins are my favourite animal and any fact about them I will be automatically drawn to. Penguins are fascinating creatures and it’s so interesting to learn how they’re different from other birds and also other sea creatures. Another favourite of mine is Thing 8 – Having a pet is really weird when you think about it. Purely because it is, isn’t it?! If you love books that have personal anecdotes in or just interesting facts in general, I’d definitely recommend this book. It was an easy read and I got through it very quickly, although it is something you can always look back on whenever you’d like. The book has been out since the 5th October 2017 and is available to purchase on Amazon. Previous Post What’s In My College Bag?